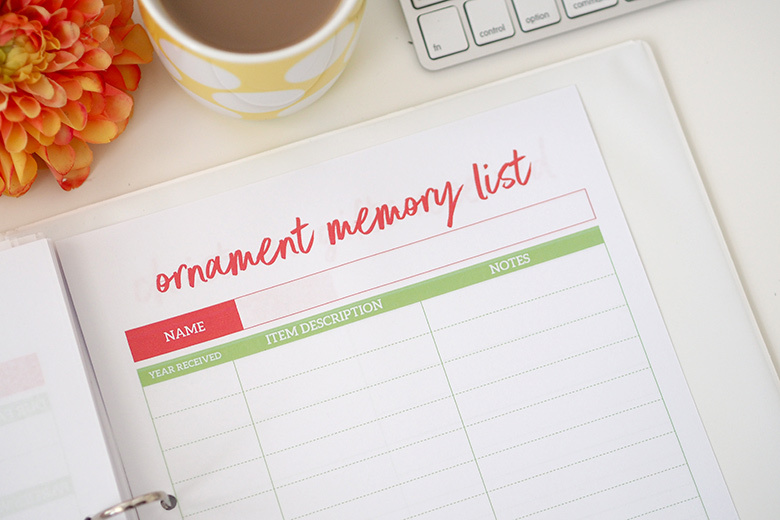 December is such a busy month of the year – end of school year, breakup parties, Christmas parties, shopping for Christmas gifts, getting the house ready for guests, seeing family and friends, and everything else in between. There is always so much to do in the lead-up to Christmas and never enough time to do it (or so it feels). Christmas is definitely my favourite time of the year – creating memories with the kids, reliving special traditions, spending quality time with extended family and, of course, preparing a large spread of delicious sweet and savoury foods. The one thing I have learnt over the years is that planning is essential in making the Christmas season stress-free and manageable. 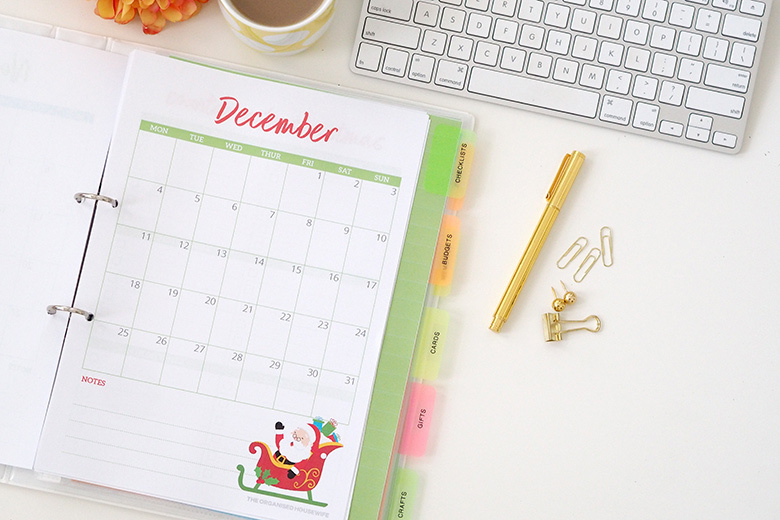 My Christmas Planner is my sanity saver and it could help you prepare for the special time of year when Santa Claus comes to town! Once again, it’s time to get out my trusty Christmas Planner. 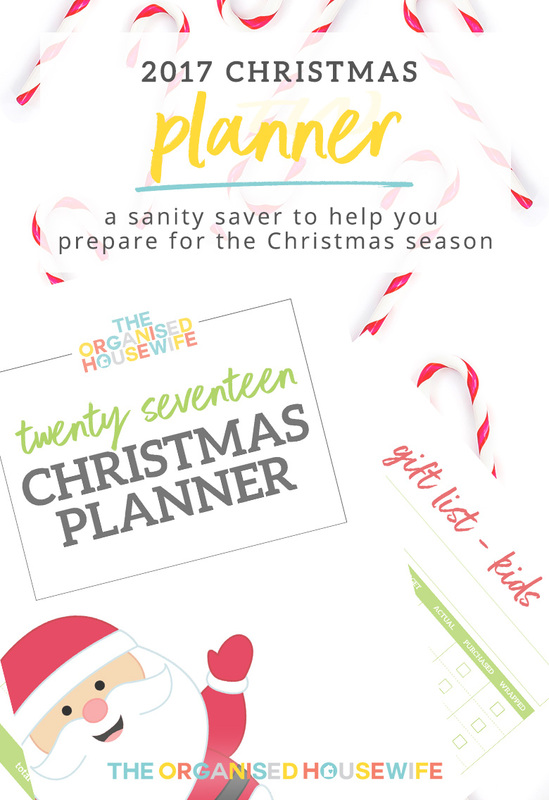 I have been using this for as long as I can remember as it’s the perfect way for me to organise, plan, prioritise, set budgets, create gift lists, card lists, plan meals and more before the 25th of December rolls around. 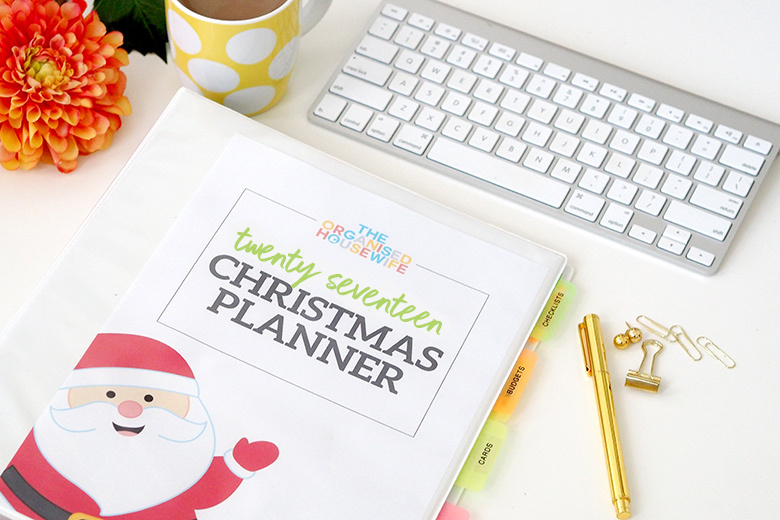 This 2017 Christmas Planner is available in my shop as an instant download, so you can start planning today!! 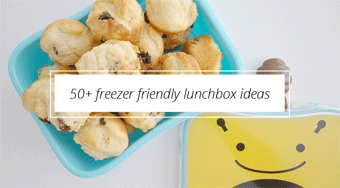 No more losing notes scribbled on the back of envelopes or misplacing receipts on your desk! 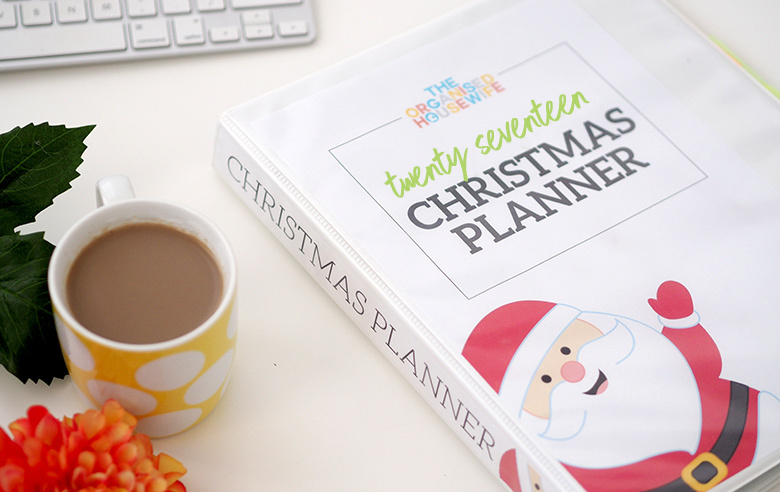 This 72 page Christmas Planner will keep all your checklists, planners, budgets, recipes, ideas and more together in the one place. The planner is a digital download. This means you will receive a file instantly after purchase. 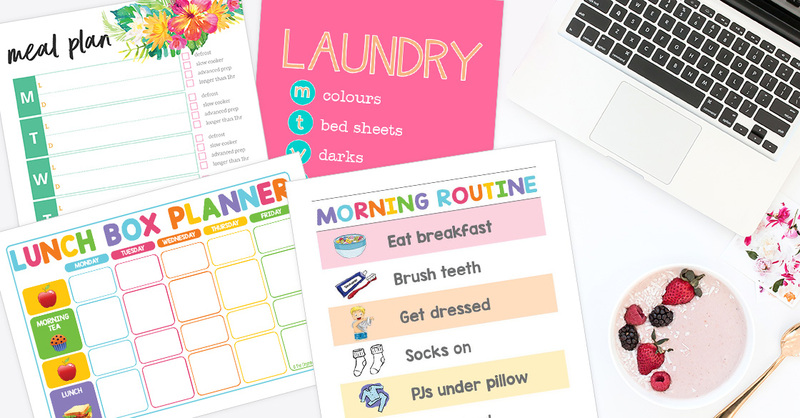 You can print the planner and start organising within minutes! 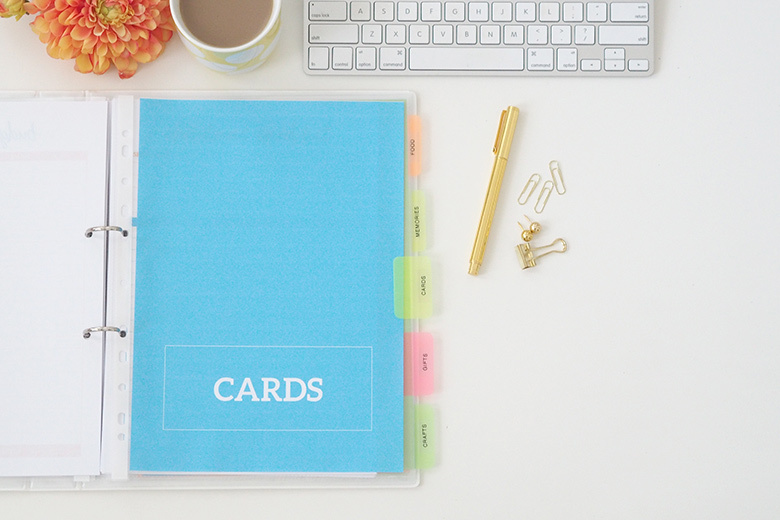 I use a 2D insert binder that I purchased for $3.50 from Kmart. It allows me to slip in the front cover page and spine label. There are a few different options for the divider pages that I have included. You can laminate them, or as I have done, insert them into premium quality sheet protectors and add tabs that I bought for $2.50 from Kmart (surprise, surprise!). This makes it easier to find sections within the planner. I’ve used my labeller to label the tabs. 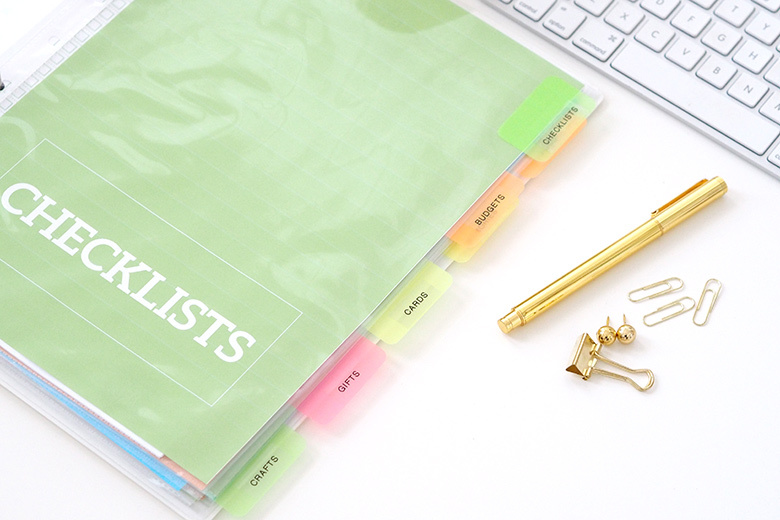 The first key to being organised is planning. Use the calendar pages to plan your events and the tasks you would like to do on specific days. I have included calendars from September – December 2017 and a Countdown to Christmas page. 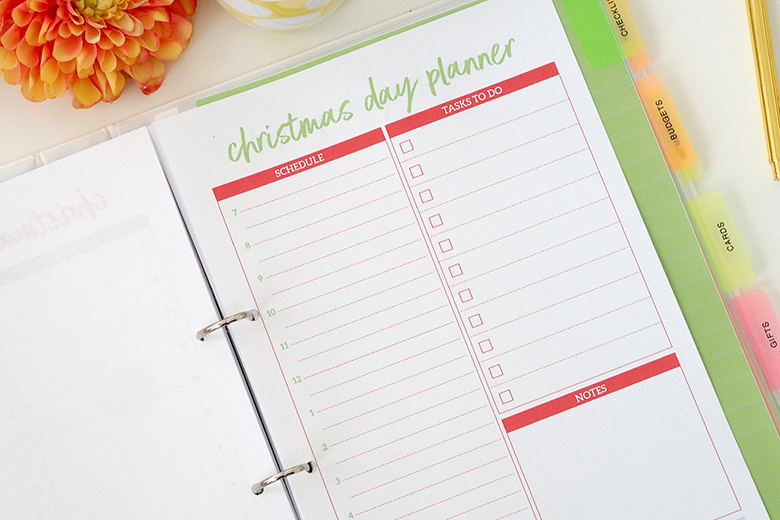 A handy addition to the Christmas Planner is the Christmas Eve, Christmas Day and Boxing Day planners. You can write down your schedule for each of these particularly important days. i.e. what time you need to put the ham in the oven, time for opening gifts, start lunch, etc. I have helped you by creating a checklist for you. 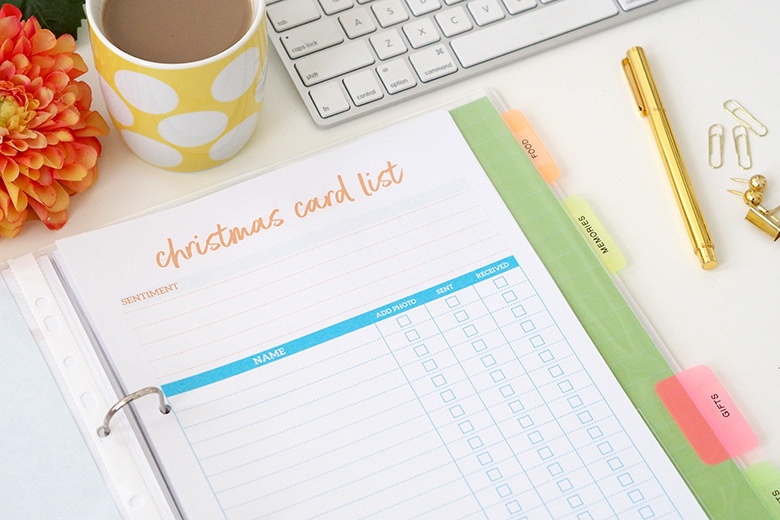 This is filled with everything you need to do and plan for Christmas – from remembering to buy stamps for Christmas cards, your guest list and organising who’s bringing a plate on Christmas Day. Before you start shopping, work out your Christmas budget to determine what you can afford. The last thing you want to do is to get an unexpected credit card bill in the New Year because you forgot to add into your budget the cost of events, food and little gifts, like stocking stuffers and advent calendar gifts. All of these little purchases add up very quickly. To make it easier, I write the same sentiment on all my Christmas Cards and perhaps a little personal message on some. I have created a page where you can jot down your sentiment for easy reference if you’re writing cards over the course of a few weeks. 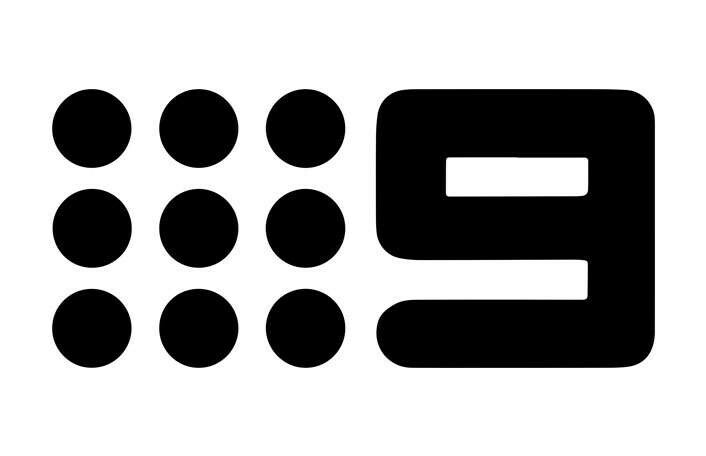 This will help you remember what the message is. Use the list to write the names of people who you are writing cards to and if you want to add in a family photo. Tick off when you send the card and you can also note if you receive a card too. This is especially handy if you forget to send somebody a card, note them down so you can add them to your Christmas card list for next year! Also included is a special little list for the kids to write cards to their friends, with words at the top to help them copy what to write. 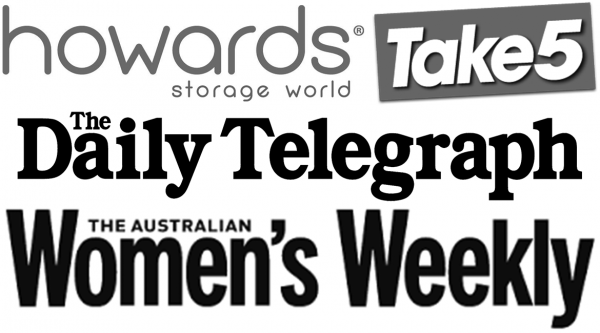 Use the address book pages to store all your family and friends’ postal addresses. 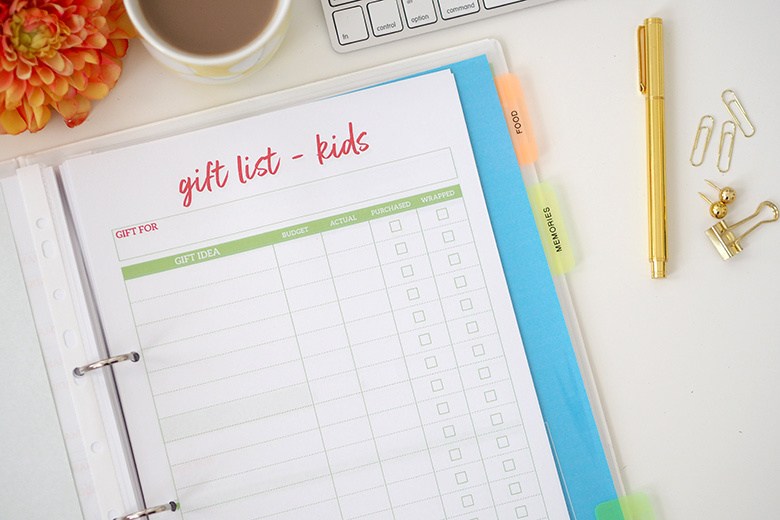 There are so many people to buy gifts for – kids, extended family, friends, neighbours, workmates… I have created lists for the different people in your life so you can keep track of your purchases. On the kids’ gift list page, I have included an area for a budget. 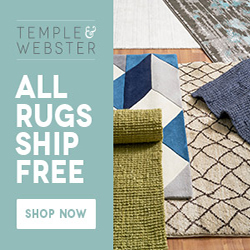 This gives you the option to use either the budget section or the gift section (up to you). I have also included a ‘split page’ so you can put two kids on one page or use one page per child (you don’t need to use both, I just wanted to give you a few options as all families are different). The purpose of all these pages is so you can keep track of your purchase, stick to a budget and not over buy. This section will help you organise what you would like to bake during the holiday season. Use the Christmas Baking and Cooking page to write down the recipe, along with ingredients and where you can find the full recipe. Keep track of your favourite Christmas recipes so you have a list ready of what to bake and cook for your family each year. Again, I have included a few different versions of pages for Christmas baking. 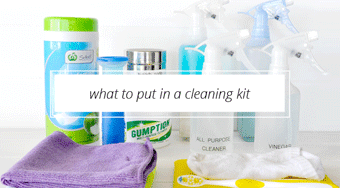 Use the one that you find easiest to work with. 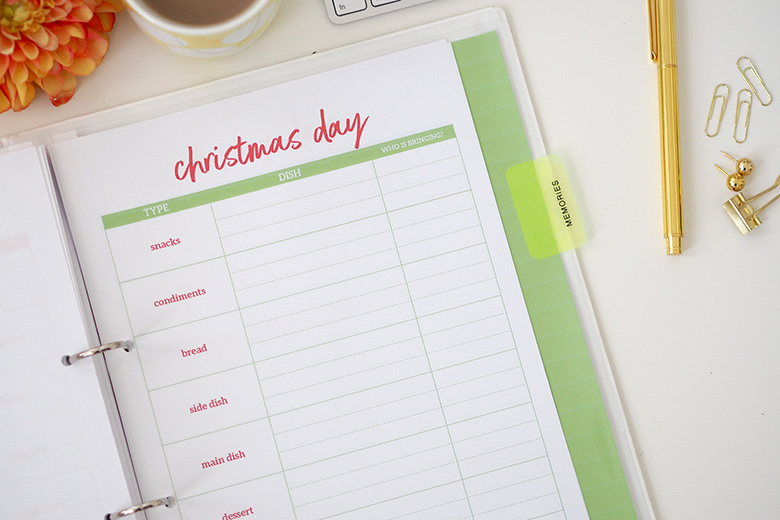 Use the Meal Planner page to plan what you are cooking on Christmas Day. This page allows you to plan with other family members on what they can bring/contribute. 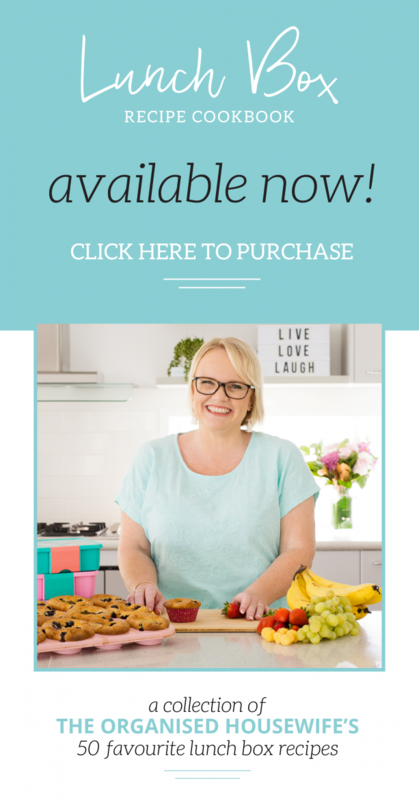 Use the Christmas Grocery List to ensure you remember all the items you need, I’ve categorised the grocery list to make the shopping process easier for you. 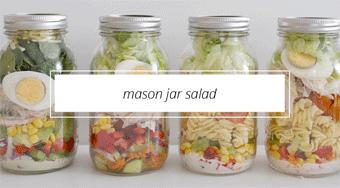 I like to use the Recipes to Try page for recipes I’ve found in cookbooks, magazines or online. I can note down what ingredients they have, so when I feel like cooking it’s easier to glance at the ingredients and decide what to make. 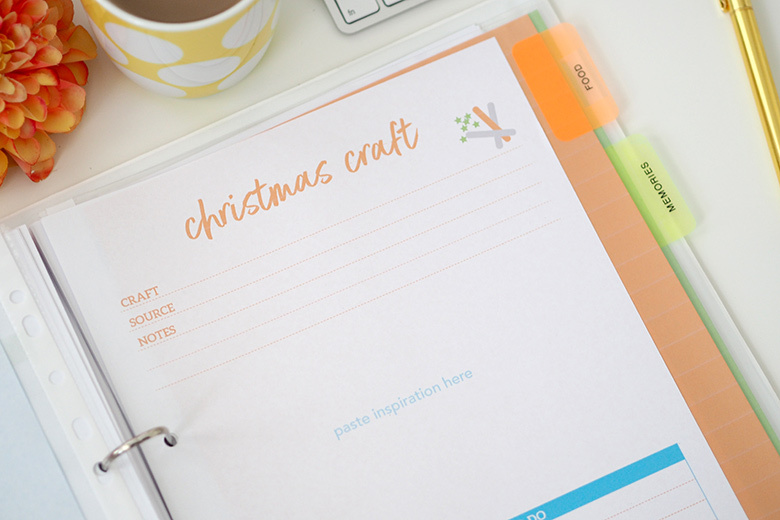 Use the Christmas Craft page to paste in a picture of the craft idea and note down the supplies are needed and where you found the idea in case you need to reference back for the tutorial. This is particularly handy to use throughout the year to remind yourself of something to make during the Christmas season. Write down the fun traditions that you start each year to ensure that you remember to do the same next year. I give my kids a Christmas Ornament each year, so when they leave home they have a box of memory filled Christmas’ to take to their new home. I’ve created this page to help keep track of the ornaments and their meanings. Don’t forget to add in a plastic sleeve at the back of the planner to place all your gift receipts. They are handy to have at easy reach in case somebody needs to return something. I mentioned it has 70+ pages, but you don’t need to print them all. 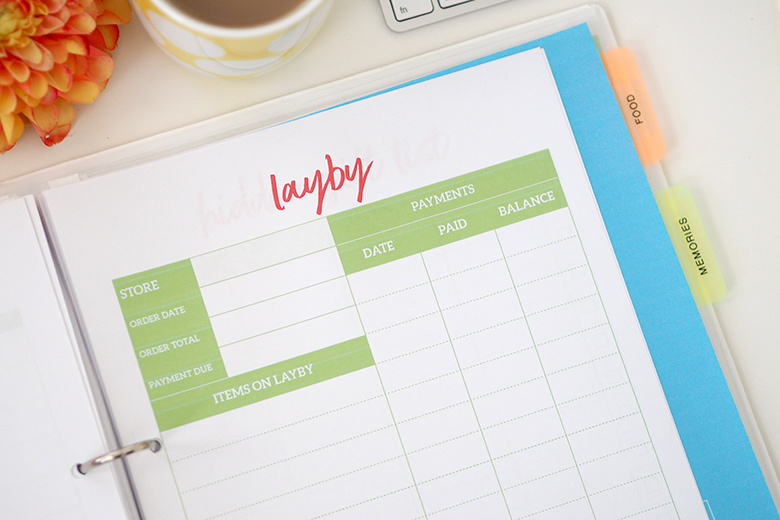 This planner is not intended to be printed back to back, which allows you to print multiple copies of particular pages or not print certain pages at all. It is a planner that you can adapt to suit you. What do you find is the hardest thing to organise for Christmas? Please note there are more planners on their way: 2018 Wall Calendar (it’s currently at the printers!! ), 2017 Elf on the Shelf Planner, 2018 Bill Organiser, 2018 Weekly Planner (yes it’s back due to popular demand), 2018 Daily Planner and more! Free Maths App that’s helped my high school kids! 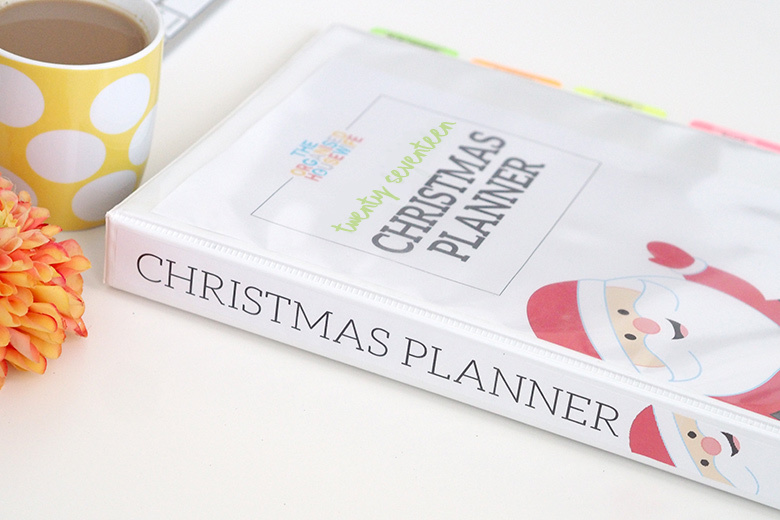 I purchased your Christmas Planner a few years ago, was the best money well spent, I always feel so organised around this time of year as your planner has all the checklists and everything I know I’ll forget to do. Thanks Kat. Thank you Mary. 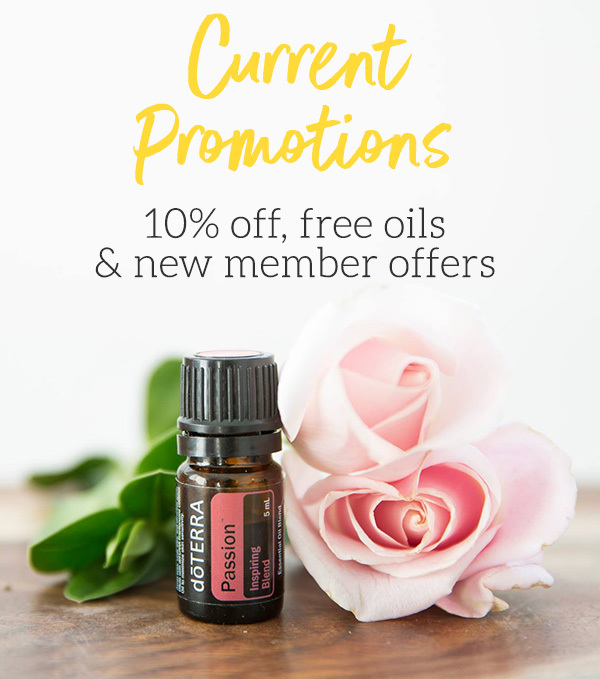 So glad I can be of help for you and your family. It’s a pleasure ? Hello, I love the colour scheme of your 2017 Christmas Planner, is it still available for purchase by chance? 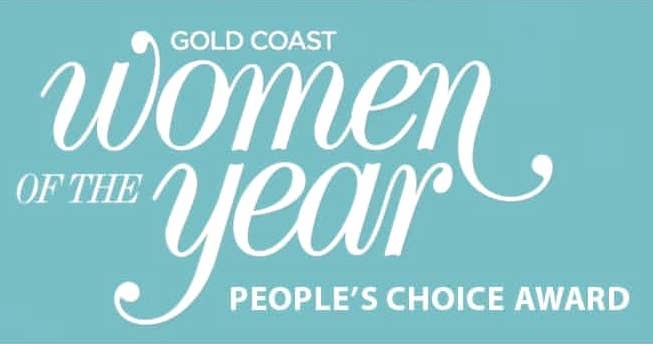 hi Wendy, I’m so glad you love it but unfortunately its not available as the calendars wouldnt match up with this year!